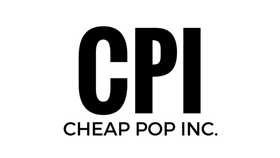 Cheap Pop Podcast Episode 25 - Cheap Pop Inc. - The most unprofessional site on the internet. The first ever Live face to face encounter between Nick and Perry! This week is a shortened show (Sadly), but we talk about RAW, TNA's Recent cuts, Ted Dibiase leaving, and Much more! Also, Please note: There was a VERY loud fan sound in the background that we didn't think was going to be to prominent in the recording at the time. I tried to edit it down, but the only way I could was to also lower OUR voices. So listen to the show with some headphones if possible. Sorry for the inconvenience.